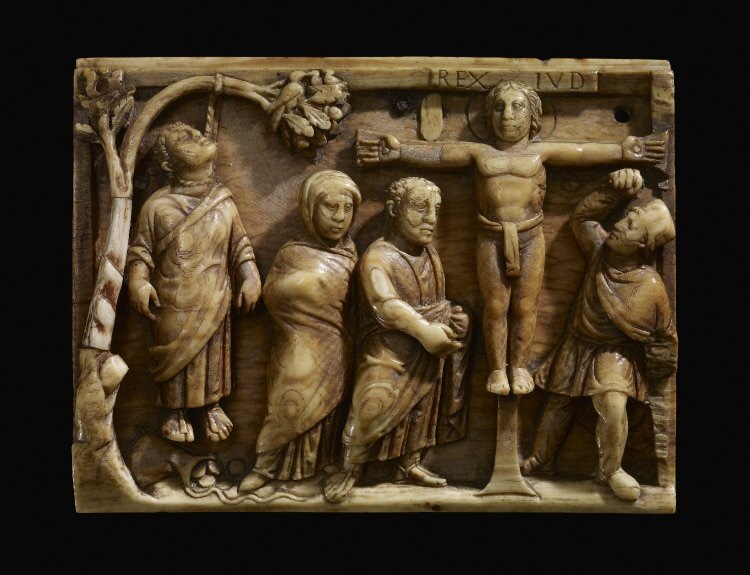 This is the earliest representation of Jesus on the cross (420-430 CE). It took 400 years for Christians to be bold enough to make a visual image of Jesus’ death. Crucifixion was so full of shame in the culture–a death for slaves and really disgusting crimes, Jesus’ own method of demise may have been downplayed in Christianity’s early years (gold cross necklace, anyone?). How ridiculous to worship someone who was nailed to a tree. May we remember–or imagine–the horror of Jesus’ death, not just the victory of his resurrection.